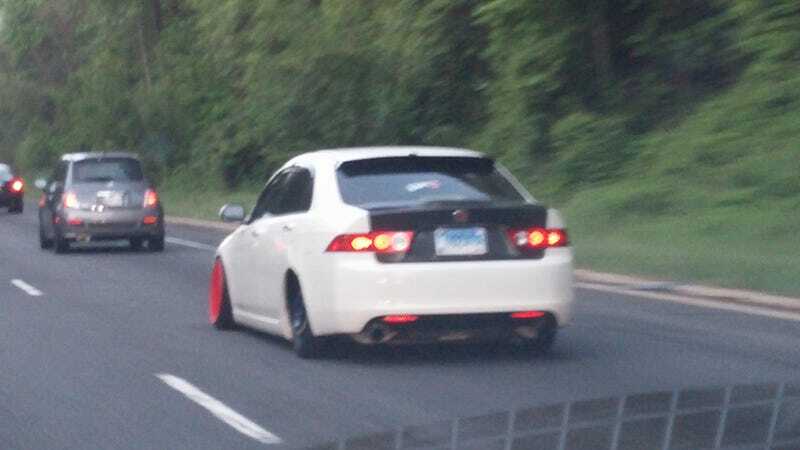 I'm not sure what this guy is trying to accomplish with two mini spares on the rear and 10° of camber all around. The car was skating all over the place over bumps. That looks like a handful.